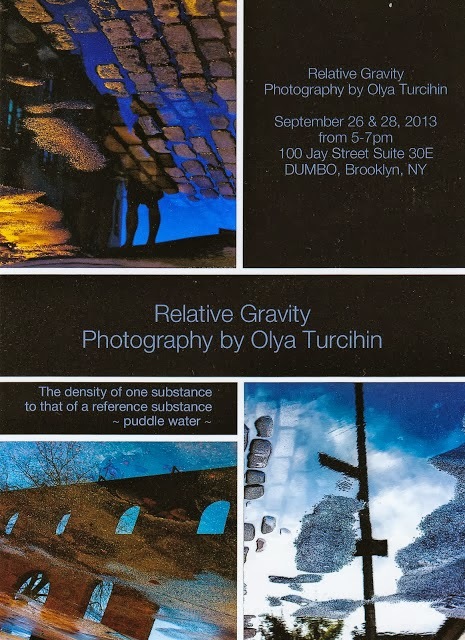 Roosevelt Island photographer Olya Turcihin will be showing her work tomorrow at an exhibit titled "Relative Gravity" in DUMBO. I will be showing with Ghila Krajzman tomorrow Saturday from 5-7p at 100 Jay Street, 30E in DUMBO Brooklyn. The view from the 30th floor is stunning! 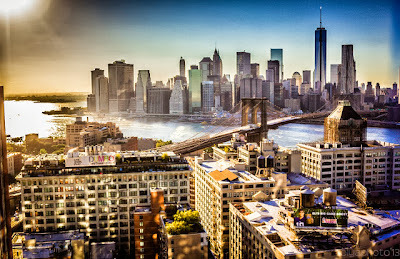 Tomorrow is the DUMBO Arts Festival - which is always a great time! More of Ms. Turcihin's photography available at Olya's Urban Journal. Fall has officially arrived, and as we all settle into the rhythms of work and school, there are many projects and new developments taking place in our Island community. Excitement for the newly opened playground at Blackwell Park helped make the opening a great success, and enthusiasm is building for Bike New York’s new classes at Sportspark, as well as the upcoming Fall for Arts Festival. A few weeks ago, we received complaints that the elevator had been out of service at the Manhattan Tram Station. We’re pleased to report that maintenance has been performed and the elevator has been up and running without an issue since then. In addition, a new gate was installed at the entrance to the elevator last Tuesday September 24, for safety purposes. The gate will be closed from 2 a.m. until 5 a.m. nightly to prevent possible damage. Renovations are proceeding quickly at Motorgate: Currently work is taking place in section 4B North and will be moving on to section 5B North within the coming week. We remind you to use caution while driving through the garage, to be aware of traffic diversions and follow directional signage. 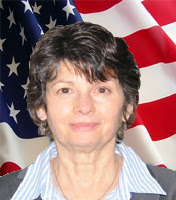 Sign up for advisories at http://rioc.ny.gov or look for information posted at Motorgate for updates. Down the road at 504 Main Street, work is continuing at a good pace. The space is being completely renovated, cleaned and prepared to be turned over to the New York Public Library in Spring 2014. The Roosevelt Island Public Library will be moving to the new location, which has twice the space, next year. Thursday, September 19 marked the grand opening of the new children’s playground at Blackwell Park. Fay Christian of the RIOC Board of Directors presided at the event, with president of RIRA Ellen Polivy also speaking to the crowd before proceeding to the ribbon-cutting. 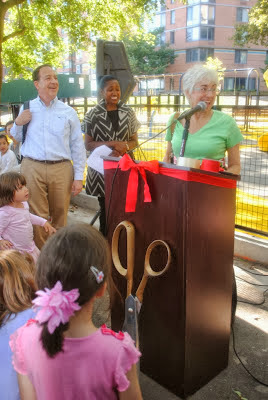 Sarah Willard of Hudson Companies, Fay Christian and Howard Polivy, Ellen Polivy and Louis Schwartz of Monadnock Construction cut the ribbon before the excited crowd of children rushed onto the playground to have fun. Many thanks go out to everyone who helped make this wonderful new addition to the Roosevelt Island’s recreational space possible. Photos from the event are available on our Facebook page: www.facebook.com/RIOCny. Starting today, Bike New York will begin offering free classes and workshops at Sportspark (250 Main Street) during the weekends for kids and adults. Two Learn to Ride – Adults classes will take place on September 28th, followed by a Learn to Ride – Kids class on Saturday, October 5th and another Learn to Ride – Kids class on Sunday, October 13th. Bicycles can be provided for adults, teens and pre-teens age 10 and up; bring your own bike to the Learn to Ride – Kids class. and the schedule for Learn to Ride – Kids is available at http://www.bikenewyork.org/ learn/kids/learn-to-ride-kids/ . 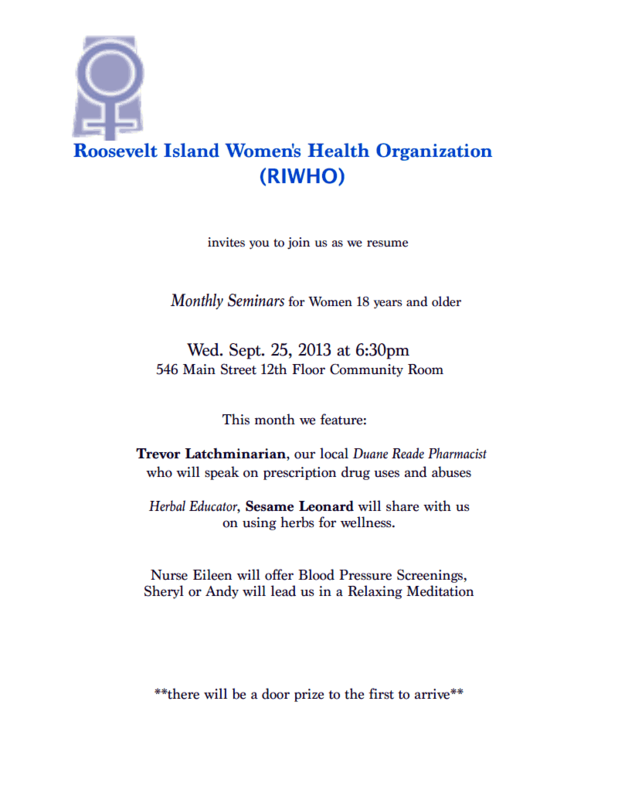 We hope that you’ll come out and take advantage of this fantastic community resource. Save the date! Roosevelt Island Operating Corporation, in partnership with Gallery RIVAA, is proud to present the eighth annual Fall for Arts Festival. The Festival will take place from 11 a.m. until 4 p.m. on Saturday, October 5th at Southpoint Park and on the lawn south of Rivercross. The Island’s much-loved tradition includes face painting, stiltwalkers, live outdoor mural painting, food, music, and free interactive art workshops for all ages! Mark your calendars and come on out to the Park for a lively day with the community. The partnership between the Public Safety Department and the Roosevelt Island Youth Program has continued with great success. The team meets weekly for soccer practice and to play matches coached by Officer Martinez and Interim PSD Director Jack McManus. We have played two games so far and, judging by the smiles on the kids’ faces, everyone had a good time. Public Safety will continue to be a part of the team through the playoffs in November. We wish good luck to them as well as all the local soccer teams throughout the season. RIOC and the Public Safety Department would like to issue a reminder to drivers that idling is illegal and very harmful to our environment. NYC Administrative Code states that “No person shall cause or permit the engine of a motor vehicle, other than a legally authorized emergency motor vehicle, to idle for longer than three minutes...” with an exception: the time limit is one minute if the vehicle is adjacent to a school. PSD will be issuing citations to drivers found to be in violation of the law, so please turn off your engine while you’re on the side of the road and help us reduce pollution on Roosevelt Island. Reported previously on the concerns of some parents regarding the new Blackwell Park Playground. What was the primary goal of the new playground? As a joint public/private effort, it was our responsibility to the Roosevelt Island community to build a safe, quality environment that would serve the broadest audience. How was the playground designed, by what process and with what feedback? How were safety concerns addressed in the overall design? First, it began with the location. This beautiful spot on the island was part of the 2001 Southtown Masterplan. There was a lot of thought put into incorporating the playground into the existing park fabric; it’s surrounded by mature trees for shade, close to the sprinklers and public outdoor recreation areas. The new location of the playground is a truly special place in Blackwell Park. The shady area provides a respite for the children while addressing one of the biggest concerns—lack of shade-- about the old Tot Lot; however the trees (and their root structure) defined the physical perimeter of the playground. Once the perimeter was determined, it was necessary to provide adequate “fall zones” that define the radius of each apparatus. Most play structures require a minimum 6 feet of clear safety zone all around. You cannot install fixed objects, including barriers, in those prescribed fall zones. Given the site constraints and following these safety requirements, the new site did not allow us to provide separate apparatuses for each age group or to create barriers between age groups. We incorporated the largest play structure we could fit on the site and programmed a range of play devices for multiple ages while still meeting the safety zone requirements. The playground review and planning process took place from March through May of 2013 by RIOC and the Southtown developers. We discussed the “lessons learned” from the existing Tot Lot and reviewed the plans, equipment, type of play surface (no wood chips, please!) and addressed concerns including equipment material, adding more benches, and adding a fence to the swing area. The result of these discussions, a final playground design, was approved for construction starting mid-June. Construction began shortly thereafter and the playground opened this past week. Is this playground only for older kids and/or duplicative with the playground at the other end of Blackwell Park? Reach the largest numbers of families. Allow children (siblings and friends) to play concurrently since the older children’s playground is not in physical or visual proximity. Avoid children “aging out” of the playground as the toddler years are for only 18 months; the new playground would allow a child to find interest in the playground for a longer period of their childhood. Is it unsafe for a toddler to play near, say, a 6-year-old on a mixed-age playground? No. Many City parks have mixed-age play equipment and without physical separation of age cohort. Kids of different ages can concurrently and safely play at the various levels and on the different apparatus. It is also important to note that children need to be attended by their caregivers at all times. We have installed soft play surfaces throughout the entire park, provided physical separation from the swings, and selected modern, safe, and durable play equipment that does not splinter (wood) or reflect extraordinary heat (metal). However, these things do not negate an adult’s responsibility to watch and monitor the safety of their children. What play equipment is specifically for a younger child? are designed for toddlers at ages 6 – 23 months old. The 2-Seat Spring Rider is designed for 2-5 years. On the larger apparatus, there are a number of elements that are appropriate and designed for children age 2-5 years; two out of the three slides – the tube and the zip slides, the sloped funnel climber, the stepped platform, the nature panel, drum and steering wheel, are all designed for ages 2-5 years. and the Zero-G Swing Seat. Stroller parking: Inside or outside? Again, the physical perimeter of the playground was defined by the site. The playground can accommodate a number of strollers but they do take up space intended for the children. We would like to implement stroller parking outside of the playground gates. Will there be signage added to the park? Yes. Signage will be installed that will outline the hours of the park and other important rules such as no children without adults, no adults without children, the age range of the playground, stroller parking location and a reminder to caregivers to watch children at times. We appreciate the feedback that we have received thus far. Any issue or concern that is brought to our attention will be closely monitored and addressed accordingly. We hope that the playground is a positive addition to the Roosevelt Island community and that children will continue to enjoy their new play space! Eva Bosbach, head of the Parents Network and Roosevelt Island Residents Association (RIRA) Common Council Member, shares this message she sent to RIOC and Hudson Related yesterday. We would like to thank both RIOC and Hudson Related for addressing some of the concerns of parents in regards to the new Blackwell Park Playground. Please see below for a list of requests for improvements collected among the members of the RI Parents' Network (currently 250 families) which we hope Hudson Related or RIOC might be able to conduct at this point. 1. 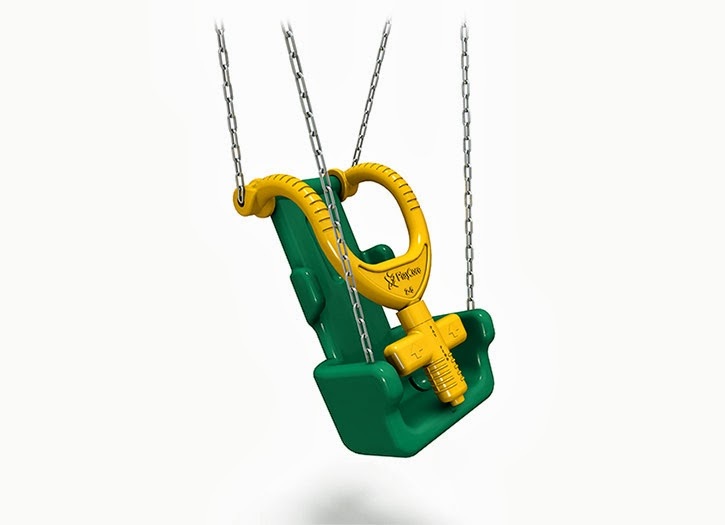 Add more Baby swings and/or convert at least one of the other swings in the new playground (and if possible also some of the swings in the close-by playground behind the basketball court) to baby swings. We have swings for older children very close by. Despite our request for more baby swings during the process, their number has been reduced in half with the new playground: There is now exactly one baby swing for the whole island population of estimated 14.000 people and hundreds of babies. 2. Put a “Please keep this door closed at all times” sign on the main gate as many children and adults are leaving the gate wide open at the moment. 3. Change the standard label "5-12 years" on the main structure to a custom label "5-9 years", and add a "2-5 years" label, so that the structure is labeled for both age groups according to it's effective play elements. Sara confirmed that a) the intended playground target group is "6 months to 8/9 years old[s]" (see earlier response on 9/23/13 update) and in an earlier e-mail from 8/5/2013 stated for the main structure that "In addition there are several other features that are appropriate for the ages of 2-5 years on the large play equipment (standard labels are either “2-5” or “5-12” and our equipment is geared for both)". Matching the labels to the present equipment and intended age groups would also give the parents the possibility to refer to the signs in the many described cases of older children using the playground and posing a safety risk to the little ones. 4. Add a natural barrier like a bench or shrubs to separate the lower equipment for babies and toddlers from the main structure. The Public Safety Commission requires that “For playgrounds intended to serve children of all ages, the layout of pathways and the landscaping of the playground should show the distinct areas for the different age groups. The areas should be separated at least by a buffer zone, which could be an area with shrubs or benches. 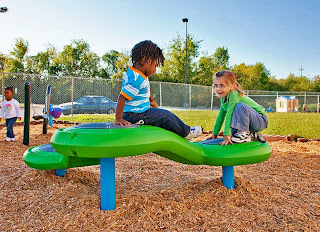 This separation and buffer zone will reduce the chance of injury from older, more active children running through areas filled with younger children with generally slower movement and reaction times.” (Section 2.2.2 Age Separation, CPSC Public Playground Safety Handbook, URL: http://www.cpsc.gov/PageFiles/122149/325.pdf ). 5. Install an emergency call box close-by (we asked for such a call box at a meeting with Erica on August 15). 7. Inform us about plans with the old Tot lot structure and possibly let us use it for the younger children somewhere on the island, perhaps in one of the courtyards of the Hudson Related buildings. 8. Confirm that Hudson Related paid both for the construction of the old Tot lot and for the construction of the new playground entirely, and clarify if tax or community dollars were allocated. We sincerely hope that you will be able to address these wishes. 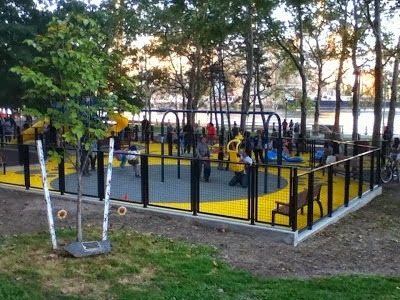 More on the Roosevelt Island Blackwell Park playground from previous post. Thank you Mariano Rivera for all the great memories you have given Yankee fans and Baseball fans while always showing dignity and professionalism. So, thanks Mo, from the Roosevelt Island Tram. 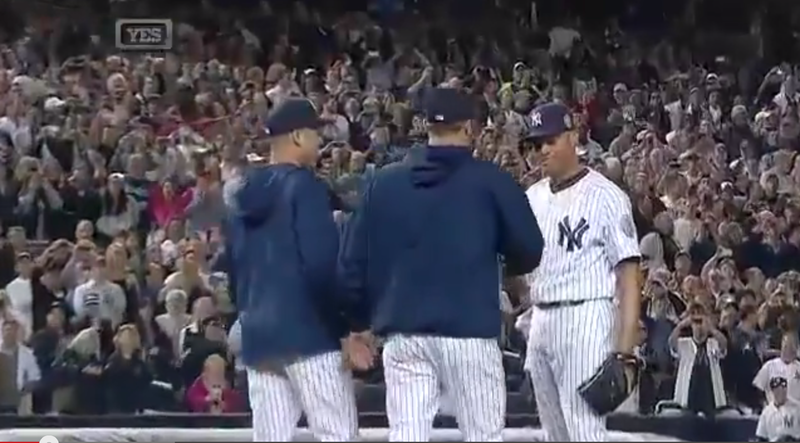 Here's Mariano's final appearance tonight at Yankee Stadium as Andy Petite and Derek Jeter come to take him out of the game to thunderous applause by the crowd. A very emotional moment for Yankee fans. and more about Mariano Rivera's history from ESPN. Mariano Rivera, YOUR'RE THE BEST EVER! No more pitching, play some Centerfield in Houston. 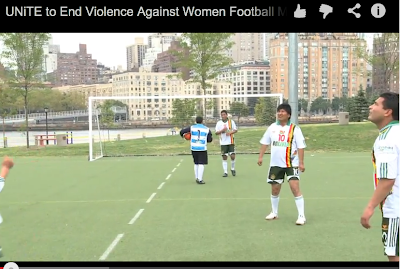 On Thursday, 26 September 2013, President of Bolivia Evo Morales, the Minister of Foreign Affairs of the former Yugoslav Republic of Macedonia Nicola Poposki, and one of Norway’s youngest women MPs, Lene Vågslid will join top officials and ambassadors to the United Nations in a football match during the 68th session of the General Assembly. The teams will UNiTE to End Violence Against Women, supporting the Secretary-General’s campaign and advocating for this crucial issue—globally and in Latin America and the Caribbean, which has some of the world’s highest rates of violence against women and female homicide. UN Development Programme (UNDP) Assistant Administrator Rebeca Grynspan and UN Women Deputy Executive Director Lakshmi Puri will kick off the match using SOCCKET—a ball that generates electricity when kicked—calling for innovative solutions to bring sustainable energy for all. 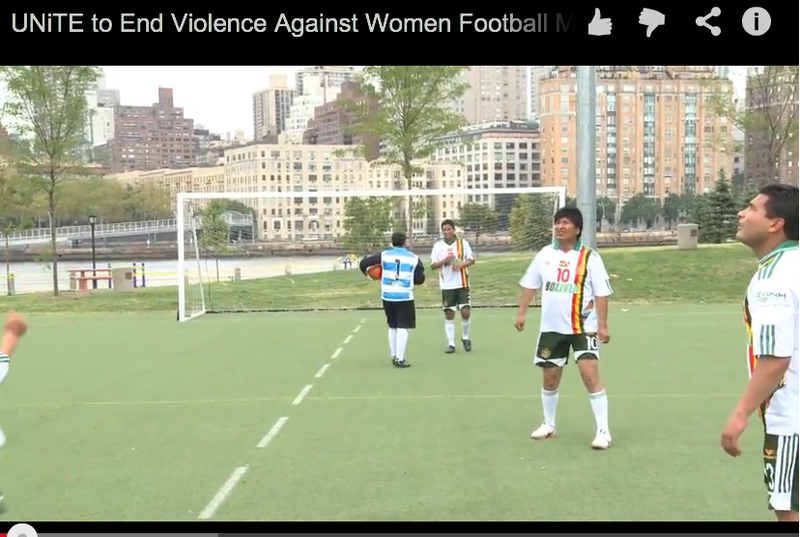 and more on UNite to End Violence Against Women. RIOC And Hudson Related Seeking To Close Roosevelt Island M&D Deli After 10 PM For Noise Complaints Outside Store - Why Not Better Policing Instead Asks Owner? 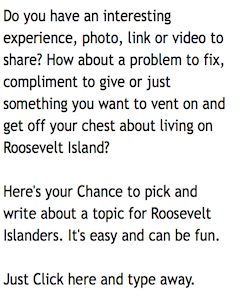 I am Jack McManus, the Director of Public Safety for Roosevelt Island. I am writing to you today regarding the M&D delicatessen, located at 579 Main St, Roosevelt Island. For at least a year, M&D has been closing between I:00 A.M. and 2:00 A.M. I have been informed that they formerly closed at 10:00 P.M. I have been in my present position for approximately two months. During that time I have been inundated with noise complaints from residents attributing the noise to the area in front of M&D. I have personally observed the crowd of younger people who gather in front of there nightly from around 9:00 P.M. on and have heard the noise which presumably results in complaints. On July 4th, 2013 at approximately II :45 P.M., a shooting occurred in the street directly in front of the deli. There were at least 150 youths who were hanging out that night. I understand that there is a general belief on the island that these quality of life issues such as unreasonable noise, and littering in front of M&D, began to really fester after the deli began to remain open until I:00 A.M. or 2:00 A.M. It would be to the benefit of the community if the deli were to revert to the 10 o' clock closing time. I would appreciate any assistance in this matter. In response to the letter from Mr. McManus, Lisa Management, on behalf of the landlord Hudson Related sent this September 16 letter informing M&D Deli that they would have to close during the hours of 10 PM to 5 AM. 2- if there is a quality of life issue in the area around the M&D Deli after 10 PM why not have Public Safety Officers arrest or move along those making noise and other problems instead of forcing the M&D Deli owner to close at this time. 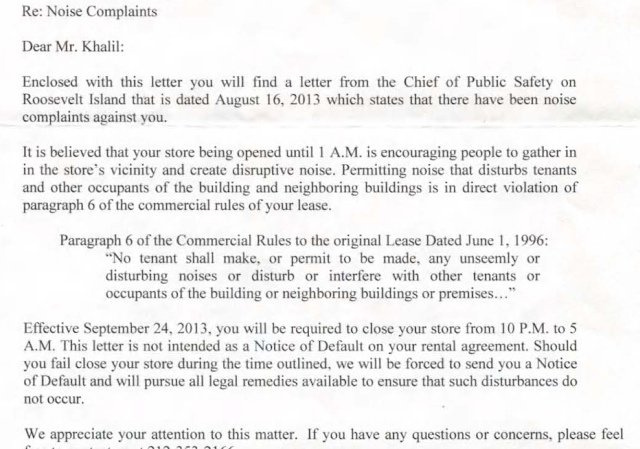 ... any comment on why the deli is being told to close at 10 PM and not any of the other stores on Roosevelt Island. Will Gristedes,Riverwalk Bar & Grill or any of the other Roosevelt Island retail stores be required to close at the same time. We plan to sit down with M&D and RIOC to figure out how we can minimize the noise issues without competitively disadvantaging the deli. Does that mean you are withdrawing the letter requiring the Deli to close at 10 pm? We often put down our concerns in writing to tenants, which leads to further conversations and resolution. I'm not sure we're there yet. I spoke with the M&D Deli owner last night. He told me that there is no problem with noise levels inside his stores and that noise coming from outside his store is not his responsibility but the responsibility of the Public Safety Department. The owner said that he has called Public Safety many times about people hanging out near his store at night but that Public Safety does nothing about it. McManus> For at least a year, M&D has been closing between 1:00 A.M. and 2:00 A.M. 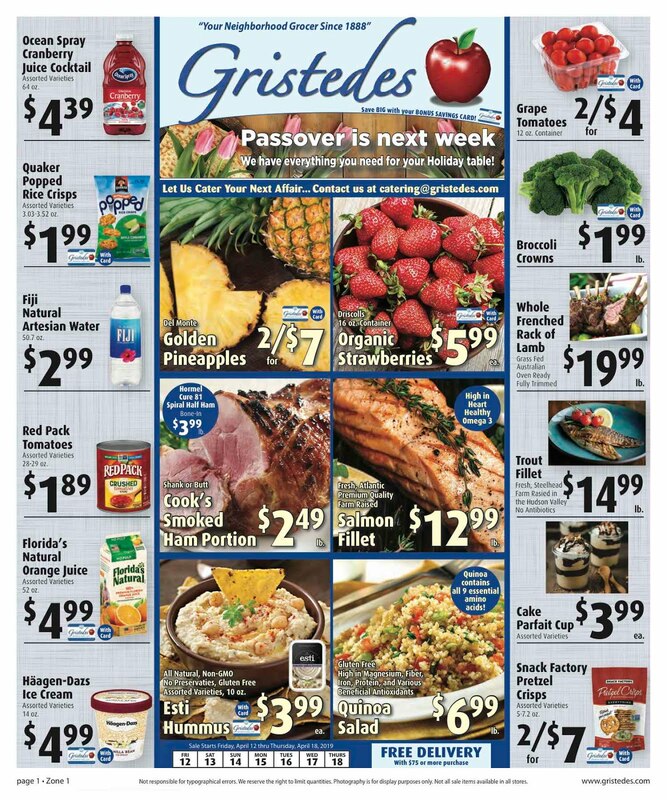 I have been informed that they formerly closed at 10:00 P.M.
About a year ago, Hudson-Related took over the retail master and H-R encouraged merchants to be more responsive to community needs, one of those needs was to have later hours. Several merchants have responded. McManus> I have been in my present position for approximately two months. During that time I have been inundated with noise complaints from residents attributing the noise to the area in front of M&D. 09/21/13 - 0556 - F/O 579 Main St - Noise Complaint - PSD responded - Condition corrected. 09/17/13 - 0600 -579 Main St - Noise Complaint - Condition unfounded. 9/8/13 - 0522 - 579 Main St - Noise Complaint - Condition Corrected. 9/7/13 - 0454 - 579 Main St - Noise Complaint - PSD responded - Condition Corrected. 9/7/13 - 0625 - F/O 579 Main St - Noise Complaint - PSD responded - Condition corrected. 9/4/13 - 0600 - F/O 579 Main St - Noise complaint - PSD responded - Condition corrected. 9/4/13 - 0615 - F/O 579 Main St - Noise Complaint - PSD & NYPD responded - Condition corrected. 9/1/13 - 0610 - 579 Main St - Noise Complaint - Condition corrected by PSD. 8/30/13 - 0210 - 579 Main St - Noise Complaint - PSD responded - Condition corrected. 8/20/13 - 0545 - 579/580 Main St - Noise Complaint - PSD responded - Condition corrected. 08/13/13 - 0640 - 579 Main St. - Noise Complaint - PSD responded. Condition corrected. 08/06/13 - 0620 - F/O 579 Main St - Noise Complaint - PSD responded - Condition corrected. 8/3/13 - 0412 - 579 Main St - Noise complaint - PSD Responded - Condition Corrected. 07/31/13 - 0630 - 579 Main St. - Noise Complaint - PSD on scene. Condition corrected. 07/24/13 - 0635 - 579 Main St. - Noise Complaint - Condition corrected. 07/19/13 - 0155 - 579 Main St - Noise Complaint - PSD responded - Condition corrected. 06/20/13 - 0405 - f/o 579 Main St - Noise Complaint - PSD responded - Condition corrected. Of the 352 Noise Complaints on Roosevelt Island since July 31, 2012, only 24 are associated with 579 Main Street, and of which 22 were founded. These complaints certainly involve noise OUTSIDE of M&D Deli while the store is CLOSED (4:30 AM to 6:30 AM). Also, these complaints all seem to revolve around the past three months, presumably timed in response to M&D's staffers litigation against RIOC for PSD's abuse. Really, 23 complaints in the past three months, but only one complaint in the year prior? And with the exception of the April 12 and June 20 complaints, all of the complaints while the store was closed? 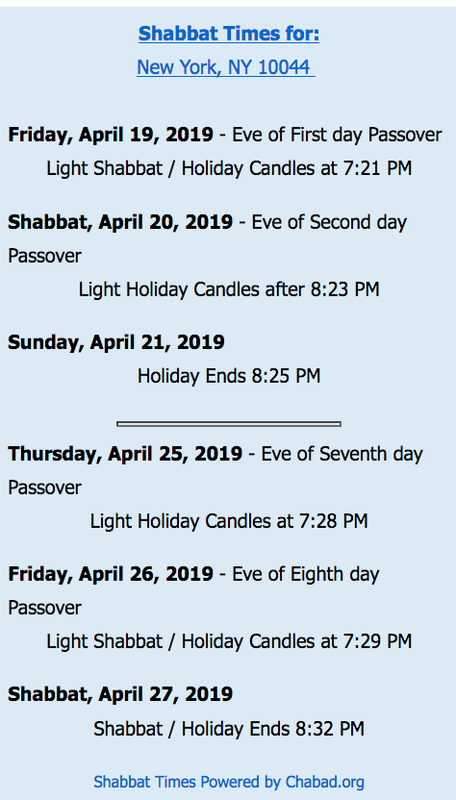 Furthermore, there was a hold-up at Gristede's (with guns), and there is constant noise from 2-4 River Road (across from Gristedes), but RIOC is not pressuring Gristedes to close. In RIOC's forcing M&D to close, but not take the same actions against other merchants in response to crime/noise, RIOC is putting M&D at a competitive disadvantage. McManus> I understand that there is a general belief on the Island that these quality of life issues such as unreasonable noise, and littering in front of M&D, began to really fester after the deli began to remain open until 1:00 A.M. or 2:00 A.M. The real problem with the noise and such is PSD's inability to address it properly: us residents have witnessed many times PSD officers standing on the 575 steps, while doing nothing about a racket 10 feet away outside the M&D Deli -- an ongoing complaint that PSD does little to address problems. Ditto for the noise/youth outside of 580 Main or 2-4 River Road. The July 4 party started at Lighthouse Park (a mile away), PSD handled it poorly. After the break-up, the crowds moved south towards the subway and tram. There was a shooting, which happened to be in front of M&D Deli. There were also other problems elsewhere on the Island that night, such as neighbors reporting large, undispersed crowds on the East Promenade. But the problem was RIOC/PSD's allowing such a party to happen at Lighthouse Park, and PSD handled it poorly and ineffectively. The same kind of noisy event happened the evening of August 10 at Al Lewis Park (across from 2-4 River Road), and the same noisy exit happened again, but this time the noise was in front of Trellis (which was closed), and by the 580 Main (Eastwood) Driveway. These kinds of noise problems happen in regular areas on the Island, but the solution isn't to close the merchants (Gristede's, M&D, Trellis) or the residential buildings (2-4 River Road, 510 Main, 580 Main), the solution is for PSD to do a better job patrolling (or get assistance from NYPD). NYPD has had no problem clearing out noise problems. Recently, I've seen better work from PSD on clearing out noise, and I've complemented their better efforts. In summary, (1) Mr. McManus' determination is arbitrary and capricious, (2) Mr. McManus' complaints are baseless (the M&D Deli was closed at the time of the complaints), (3) the complaints seem to be timed in retaliation to RIOC litigation (because of the lack of history of prior complaints during the past year), (4) the noise problems are caused by PSD's poor patrolling efforts. I request that (1) RIOC withdraw its request for shorter hours for M&D Deli because it puts the merchant at a competitive disadvantage, (2) with RIOC's involvement in changing a merchant's sublease provisions via the master retail lease arrangement, RIOC should equally get involved in making recommendations to H-R when it suits the community's interest, not just when it suits RIOC's litigation interests, (3) the RIOC Board reprimand its attorneys for intimidation of witnesses (I will file a separate complaint with the NYS Bar Association), (4) Mr. McManus review the Deli Videos and PSD officers' fabrication of testimony such that Mr. McManus can get a better understanding of the history and the community's perspective on PSD (an E-mail I sent him on June 19 at 1:16 PM titled "Cliff Notes on community view, Jones incident facts, PSD fabrication of testimony, RIOC Board inaction"). RIOC Board Member Mike Shinozaki said that the Deli Videos would not stand in the way of M&D Deli getting a new lease. But even with the lease, RIOC can still intimidate merchants. This practice should stop immediately. I have also confirmed with the owner, as was his prior position, that M&D Deli does not want the noise outside their store, but Public Safety has been unresponsive. The owner has stated that he has tried to talk to the people outside, with a Public Safety officer standing nearby, but the Public Safety officer would not offer assistance clearing the noise. The owner also reports that PSD would sit in their patrol cars and watch the noise in front of 579 Main but do nothing. The failure, obviously, is with Public Safety, both with Mr. Guerra's tenure, but also with Mr. McManus. If this were NYPD, an officer might ask a bodega owner: "There is noise outside your store and we [NYPD] would like to clear it out". If the bodega owner said "Sure, clear it out because it hurts my business, but I don't want you telling the people we asked for this because they will bother me inside my store" (a reasonable, responsible response), then the noise would be gone and NYPD would know that the store owner is cooperative. But we don't have this here because of the tangled web of relationships with the State government being the landlord (or Overlord in the case of the master retail lease), and this Overlord is also responsible for law enforcement, and the merchants fearing that complaints about law enforcement translate into problems with lease renewals and RIOC permitting (an important worry). So has the PSD Director had that kind bodega-owner's discussion and offered to help the merchant with the noise problem outside their store? No. It seems that RIOC isn't really interested in solving a noise problem, they seem to be more interested in pressuring a merchant whose employees have litigation against them for PSD Abuse. (Video of the deli incident referenced by Mr. Farance is here). Will update if RIOC responds. UPDATE 5:30 PM - RIOC Public Safety Director McManus reports that all of the noise complaints referenced by Mr. Farance occurred during hours that the M&D Deli was open. Mr. McManus explained that the time stamps on the Incident Reports reflects when the reports were prepared by PSD and not when the noise incidents happened. Mr. McManus also emphasized that he is not aware of a single report made by the Deli owner to Public Safety regarding problems outside of the deli. it's a beautiful new park, and the shaded location is wonderful. The kids seem to be having a great time. As the mother of a soon-to-be toddler though, I'm so sad to see the old tot lot go, and I know that several other parents of toddlers feel the same. The new play structure is rated for children 5-12, and is definitely way to big for the 2-3 year olds. The only equipment for the little ones are a low swing and some balance boards, but these are not physically separated from the big kids area so are being used by the big kids, which push the little ones away. Also, we are down to only one bucket swing now, which is sad. Anyway, it's a shame that there are so many playgrounds for kids 5+ on the island, but we have lost the only one for kids 1-5. Can I hope that the old tot lot equipment will reappear somewhere else on the island? As an early childhood specialist, I can attest to the concerns of the "toddler" parents. Infants and toddlers cannot share a playground without a fenced in area protecting toddler section from older children. The older kids are just being kids. Not their fault. The fault lies with whoever designed this playground space. It appears they were cutting corners. 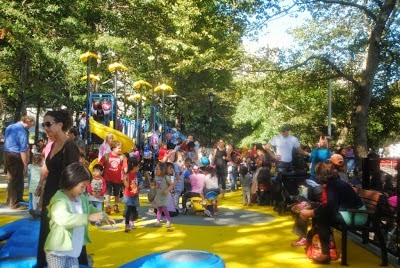 A toddler park within a park for all ages can be done. It just takes a little more knowledge of child development and some good ole "common sense". ONE Infant/Toddler swing?? Come on! Really?! ... Our goal all along was to allow a full “arc of ages” (6 months to 8/9 years old) to play in the same playground so that 1) siblings could concurrently play and that 2) a toddler would not “age out” of the playground quickly. The next playground in Blackwell Park is nowhere within visual or physical proximity of this playground—a caregiver could not safely watch a 2- year-old and a 6-year-old playing in two separate playgrounds. Even on the large play apparatus, we dialed in play equipment for pre-toddler (at the ground level), toddlers and 2-5, including one of the two slides. I sent to the RI Parents Group the specs of the toddler and 2-5 play equipment and can do that again if parents would like the information. The tree perimeter defined how large the playground could be given that these were some of the most mature trees on the island to utilize their shade; we could not tear down trees to build the tot lot. Given the site constraints, we could only have one large play apparatus (for multiple ages) and a few smaller play devices, all with their prescribed fall zones. Roosevelt Island Operating Corp (RIOC) Public Safety Director Jack McManus met with the Roosevelt Island Residents Association (RIRA) Public Safety Committee last night for a very interesting and productive 90 minute discussion. followed by questions and answers from the audience. If you are interested in Roosevelt Island Public Safety issues, I highly recommend watching the full 90 minutes. In my view, whether you agree or disagree with Mr. McManus on any particular Roosevelt Island Public Safety issue, he should be congratulated for opening up a meaningful dialogue with the community. The Roosevelt Island Women's Health Organization (RIWHO) sends the following invitation to women 18 years and older for their September 25 Monthly Seminar. More on RIWHO from previous post. 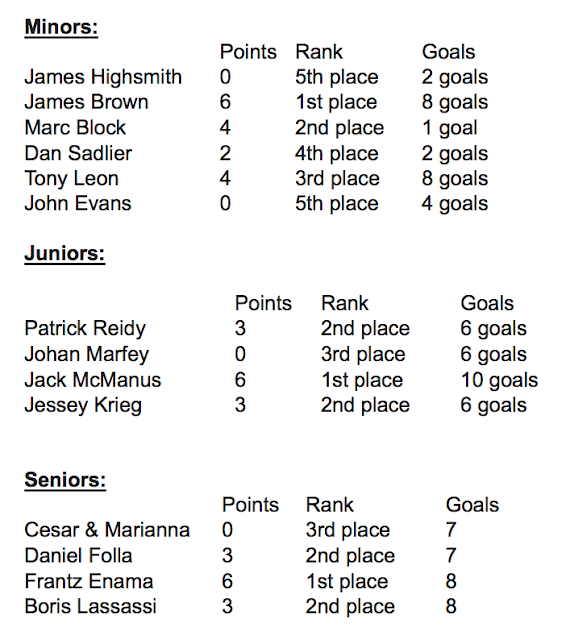 Here are the standings for the Soccer Fall 2013 leagues. We've had a few scrimmage games in addition to the qualifications in order to make sure the teams are equal in strength by numbers and by field experience. So far it has proven successful. Mostly, if a team is stronger than the other it is because the main player(s) did not show up to the game on the other team. We've had 2 games thus far with only one week of practice. So, the upcoming games will be even more exciting! 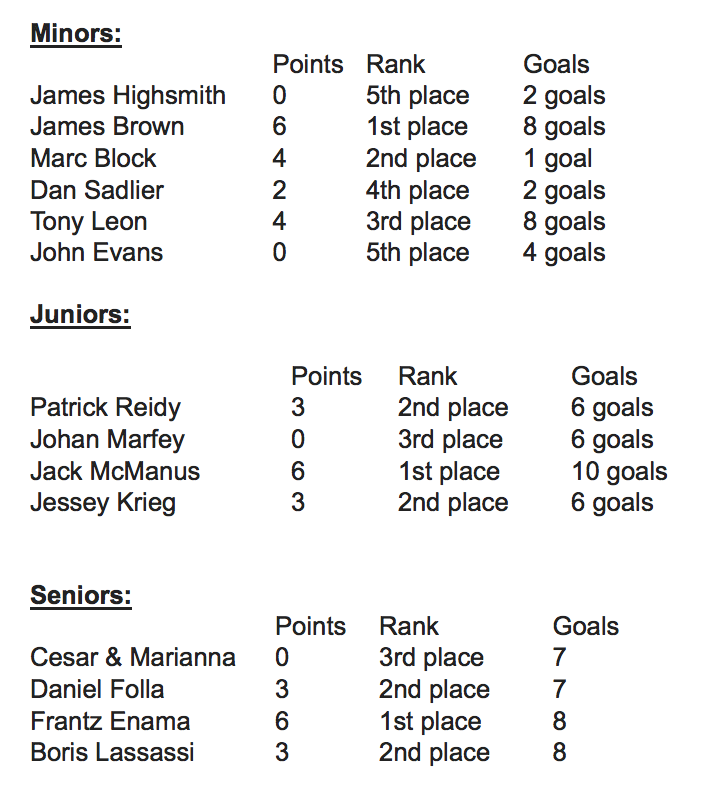 At present, the teams are designated by the names of their coaches but will soon have proper soccer team names. from Mr. Adib during the after game team handshake. Saw another parent walking off with a screw their child had found in the playground today. They seem to all be falling out from underneath the balance boards.The gate to the swings is now stuck open and wedged on the ground. 1) Broken Latch to entry gate: the latch that is broken is not the main gate, but rather the latch on the disabled accessible gate leading to the swings. It was picked up this morning and will have new reinforcements put in. It is believed that kids and or adults are hanging on the gate because it has a wide arc (for wheelchairs). The installer was instructed to stiffen the entire gate just in case this theory is in fact true. It will be reinstalled this week. 2) Screws Found near balance board apparatus: The bolts in question are believed to originate from two of the gray base pads of the balancer (the small play equipment to help kids learn to balance). Although this should have not occurred, this does not affect safety or use but is definitely a high priority to be replaced. The playground equipment installer is scheduled to make repairs tomorrow with replacement bolts for all of the equipment and will a) replace the balancer missing bolts and b) confirm that all other equipment bolts are in and secured. 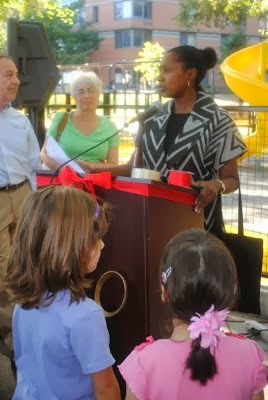 Roosevelt Island parent Luisana Santana provides this report on last Thursday's Blackwell Park Playground Opening Day. minutes before the Grand Opening of The Blackwell Park Children’s Playground. Children and their parents had obviously been anticipating the grand opening of this playground whose construction started on June 2013 by Monadnock Construction. made the opening speech addressing the issues that gave birth to the project. This new location of the playground is really part of the original plans of the Southtown Development. “RIOC was instrumental in approving the project and working closely with Hudson/Related to assure that safety concerns from parents of the community were addressed” as stated by Erica Spencer-El, RIOC Director of Community Relations, in an email. The brand new playground features equipment to suit a wide variety of children from 6 months to 8 years old. Addressing a previous issue of parents having to leave the Tot lot and walk to another playground in order for older children to play. There were no woodchips on site and the playground pavement was of rubber flooring, this floor is very safe for kids of all ages. There is enough space outside the playground for parents to leave their strollers and enough benches on site. Natural shades is also provided by the trees all around the playground enclosing it in a cocoon of shade and the warm breeze that only Roosevelt Island brings. Fay addressed this new playground location as the“perfect spot” and I remember playing on these grounds as a kid and my favorite part of The Island is where the new playground is. Now that I think of it, I loved that place because of the breeze these trees bring on a hot summer day and I am glad that no tree was sacrificed in order to make the new playground. The area is very peaceful to spend some play time with the young children in your family. Now, I just hope that all the safety concerns were really addressed and parents would feel much more relaxed as their children play in this new playground. My daughter was eager to get into the playground since last Saturday. She even threw a fit to be let in, but of course Daddy didn't have the key to unlock the gate and we finally convinced her that Thursday, the Grand Opening, was around the corner. My 20 month old girl just wants to play in the new blue and yellow attraction. We got to the gate of Blackwell Park around 6:00 pm 9/19. My daughter was a happy camper. We had to leave the stroller outside due to the large amount of persons (3/4 kids, 1/4 adults) inside the playground. My "diaper bag" (a Tram tote bag) hangs from my stroller with my apt keys, my wallet, my cell phone and the essentials that every parent needs to take care of a toddler, had to be left outside. There's so much I can do to help my daughter in the new playground, being 7 months pregnant and carrying the diaper bag at the same time. There was a "balloon guy" inside the playground, doing all kind of balloon shapes for the kids. Of course, with a charge. The most popular things we saw, pirate spades. My daughter lets go of my hand and runs towards the steps of the slide. Great. She had no issue climbing and she is very happy. All of a sudden, her smile change to grim. Older kids (between 8 -12) were running up and down the structure, pushing everyone they found on their way. My daughter is a casualty of this. These kids even stepped on a toddler's fingers. They don't even notice, they are to busy playing to be pirates. Of course, that's when mom steps in. I started telling every single kid old enough to behave and understand that pushes my daughter to be careful, that she is very young. So she is happy, nervous and smart enough not to let go of the handrail of the structure. So she is down the first slide: the spiral one. Success!! She goes back up again and again and again. The only thing is that she is being Bullied by the older kids. They push her down the slide, they cut into her when she is about to go down the slide, they frightened her cause they are climbing the slide from the bottom up... several times. She can't take it anymore. She is hit by an older boy (around the age of 10) that decided to throw his Hot-wheels car from the bottom of the toboggan slide all the way up. She is upset, she doesn't know what happened, she didn't see it coming, mom didn't see it coming. I was too busy instructing the kids not to push her down the toboggan slide, neither cutting her turn when this metallic car hit her cheek!!! I grab the car and throw it away. Grab my kid the best way I could, cause this structure is not even parent accessible to be able to grab our kids in case of an accident. I have this baby bump, and it was very difficult to reach for my daugther. As I am getting her away of the mayhem of the slides, near the 2 big chunk of plastic designed supposedly for 6-24 month old, I look around and as I count grown-ups (total of 12) I see that the swings are being used by teenagers (or very tall kids). The 4 swings are being use by older kids. They barely fit inside the ONLY TODDLER SWING in the whole Island. And then another 2 girls standing on top of the "special needs" toddler swing. And I noticed that the chains that support this one from the top rail are different and thinner than the other 3 swings. My daughter tried the 2 blue structures for toddlers. She can barely stand up on this things. They are crooked, they are rounded, incline to one side. She is investigating what this things are when the older kids start running around, chasing each other. She gets frightened. Too frightened from all the yelling and the giants coming after her again. She started crying and run towards the door, I am calmly waiting to see what is she trying to do. And then I panicked: THE DOOR IS OPEN! Some kids around 6-9 years old came inside the playground and left the door open (no adult coming before them or after them, they were ALONE)... My dauaghter is almost out when I reached out and was able to grab her hoodie. She is desperate to get out... is too much for her. Older Kids keep coming in and out, and they do not care about the gate being closed. So parents, like me trying to console my daughter, keep closing the gate more times that we can count. Finally, my daughter calms down and wants to try the slides again. The tot-lot was the only playground with TODDLER slides and steps, and was easy accesible for parents to grab their kid in case on an accident or a sudden fit/tantrum. With this new structure it is totally unaccessible to ACT FAST!!! So here's my daughter getting familiar with the structure when she suddenly peaks out from one of the top "holes".... "Oh No!! don't do it!! Keep walking!!" I yelled to her. She is all smiles trying to copy what OLDER kids do, she is gonna fall down. I can't climb to get her, I am PREGNANT. I raised my arms, DAMN I can only reach her shins, barely. 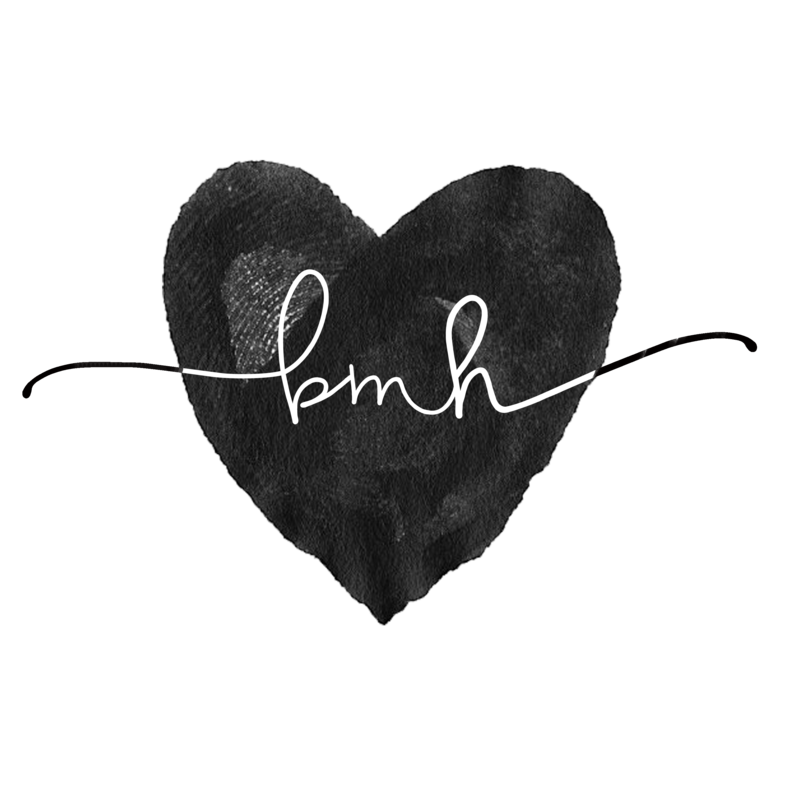 My heart is accelerated. No parent around to help me, I can't keep the eyes on my daughter. It is too high. I am 5' 7" (1.70 m) and I can't reach her, I can't climb. What if she falls down cause her head is what weights more than the rest of her body (this is science not something I made up), what if an older kid playing pushes her and she falls down? Finally she decided to come down through the structure and the same way she went up. Daddy arrives, I am saved, my daughter is saved I can start breathing again. Daddy keeps her on track on the slides and helps her avoiding the NOT Safe stairs with all this older kids running up and down. I am sitting down, just talking with the few grown ups that I already know. All the dads and moms are telling me: what a waste! 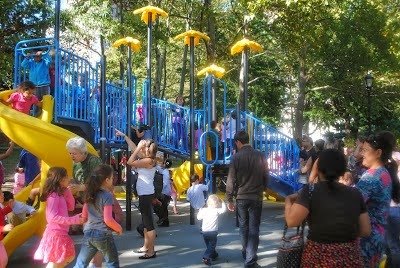 the tot-lot was perfect for our kids and in this new (playground) everything is too big for them, it is unsafe. They can't climb up by themselves and we have to deal with 10 yrs old bullying our kids. A long time resident, 17 yrs living in RI, with a 3 yr old girl is telling me: What is the point of having 2 playgrounds, almost identical, a few feet away of each other, meant for older kids. I don't want my 3 yr old playing with almost TEENAGERS and being push around by older kids. Their parents are not here, so they can do as they pleased. The next day, we went there again. With the older kids at school and close to naptime it will be better for my daughter. It was!! Her friends were there: 3 toddlers 3yrs old, a 17 month old girl and several other kids around her age (Well, I should say the usual crowd age of the OLD TOT LOT). They all are having a great time. Of course, all the moms and nannies are keeping a very close watch on how they climb the stairs and when they are in the top part with 2 big holes on both sides of the structure. We realize our kids are ok, but we started talking about how the younger kids have to be tough and either learn to play with gear meant for 5 yrs old at least or learn not to play at all in this playground or any other one. So the comments and comparing and complaining about not having a TODDLER Playground when mom "B" tells me that the swing door is broken. You can't close it or open it. Finally a Dad comes to the playground and opens it for us all the way so the kids can't get injured with it and parents don't have to deal with it. Too bad, the spaces of the fence are too wide that a Toddler foot can get stuck there, in between the broken swing door. So we keep complaining, and pointing out how wrong was Hudson Related, RIOC and the "parent's only heard voice" on allowing having this structure to REPLACE the TOT LOT. REPLACE is the most important word. REPLACE!! Not Change, Similar, Exchange, Alter, Modify. We needed a replace, switch, substitution of a TODDLER structure for another. What are those blue and grey things in the middle of the play area? We are trying to find meaning to them. Finally it comes to me: Baby slides! (WTF) Yeah! Supposedly, to those round things that have a curve the baby stands and then the baby "walks" or crawls the 3 tiny steps (all crooked to one side and then to the other. If you put a marble it will slide to one of the lateral sides. This "steps" are awful!) until getting to the top round grey thing and from there slide down to the other.... This silly things make no sense. And there's little E, 17 months old, figuring out on her own as any other child in the world. She is trying to climb the structure and she fell down backwards. Tears! Her 2 brothers trying the swings. They are so high that they can't even sit down on them, so what they do: they bend over the swings and started swinging themselves. Clever! Our friend arrives and our daughters want to go to the swings now.... So my daughter has to use the "special needs" swing. It is hard to open it, finally she's sitting down but not very happy. She wants to use the regular toddler swing, but it is being used and THERE'S ONLY ONE for the whole RI. I closed the "lid" of the swing and surprise!!! Her eyes are barely seen. this thing is TOO big for her and it even is as reclined as the ones in Central Park. She is sitting pretty nice and tall and straight. Aren't this swings supposed to be a little inclined so the "lid" could be close and open easily with the child inside?? I can go on and on and on, and I am not criticizing I am being objective. My kid is happy, to some point, in this playground. I just received a call from my friend B saying that the park was crowded again by "hyper older kids". So to avoid another injury to my toddler daughter, we're staying away of that playground this afternoon. I don't want another bruised cheek or something worst. Oh! I forgot to mention, the "fence" put in is so easily climbed over. Our kids feet fit just perfect to climb over. Who was the genious to select that kind of (cheap and unsafe) fence? Who decided such cheap piece of equipment to be installed? Who decided that toddlers were Ok in not having any slide age appropiate for them? The same voices that are telling the rest of the residents: we don't want to hear from you? That's all I have for now. Hope it works and RiOC you are responsible for any injury in this faulty, unsafe, bad assembled playground. I spoke to several parents at the playground this afternoon which, at the time, was not very crowded. They loved the new playground and did not think that there would be much of a problem with older kids intimidating younger children. Their attitude was that the children have to learn to get along with each other. · RIOC announced the opening and there were an unusual number of kids playing all at the same time. I will say that given the number of kids in a relatively small space, it was an amazingly positive event. 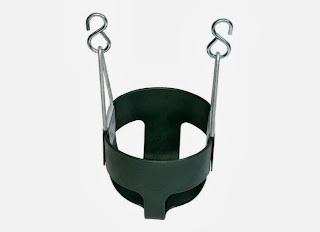 · the latch (and the gate) on the handicap accessible gate to the swings was bent last week. It was picked up this morning and will have new reinforcements put in. Kids are hanging on the gate because it has a wide arc (for wheelchairs), so I asked the installer to stiffen the whole gate too assuming kids will hang on it. It will be reinstalled this week. · The bolts in question we believe are two off of the gray base pad of the balancer (the small play equipment to help kids learn to balance). This does not affect safety or use but obviously will need to get replaced. 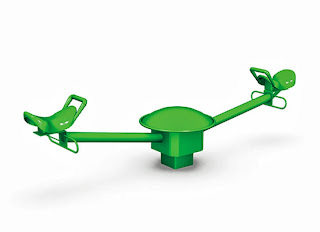 The playground equipment installer, Cosetti, is coming tomorrow with bolts for all of the equipment and will a) replace the balancer missing bolts and b) confirm that all other equipment bolts are in and tight. 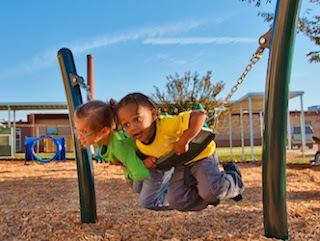 · Our goal all along was to allow a full “arc of ages” (6 months to 8/9 years old) to play in the same playground so that 1) siblings could concurrently play and that 2) a toddler would not “age out” of the playground quickly. The next playground in Blackwell Park is nowhere within visual or physical proximity of this playground—a caregiver could not safely watch a 2- year-old and a 6-year-old playing in two separate playgrounds. Even on the large play apparatus, we dialed in play equipment for pre-toddler (at the ground level), toddlers and 2-5, including one of the two slides. I sent to the RI Parents Group the specs of the toddler and 2-5 play equipment and can do that again if parents would like the information. · The tree perimeter defined how large the playground could be given that these were some of the most mature trees on the island to utilize their shade; we could not tear down trees to build the tot lot. Given the site constraints, we could only have one large play apparatus (for multiple ages) and a few smaller play devices, all with their prescribed fall zones. · It is not unusual to have children of mixed ages playing in the same park. I see this all the time where elementary school kids and toddlers are in the same City Park—often they are siblings. · RIOC and I are working on a donated used toddler toy program at the park (push toys, balls, play cars, etc) like they have at Bleecker Park in the Village. New toys unfortunately get stolen, but donated old toys are a community-building, it-takes-a-village way of kids learning how to share at an early age. These toys would be almost entirely for use by the toddlers (a 4 year old would not need a push toy to learn to walk).